Home to all things Wellness. Hello! This week for our #WellnessWednesday post we’re going to chat about SLEEP. Who doesn’t love sleep? You probably… if you never do it very well! Sleep is CRAZY important to our health and brain. If you’re not getting enough sleep… your body won’t work the way God intended it to and you are much more susceptible to sickness and disease. So today, I am going to go through a couple different ways to help your body sleep better and help your mind wake up happier. First lets chat about things to NOT do before bed, things that sabotage our sleep patterns and totally don’t help us sleep better. I’m sure most of you know this, being on your phone right before bed is INCREDIBLY detrimental to your sleep patterns. I realize it is so tempting to pull up social media while you’re getting ready for bed, I get it. The easiest way to do it is to set your phone down after like 9 and to not pick it up again. Not looking at your screen will actually help you fall asleep faster because your brain will be able to wind down quicker. In America, our favorite pastime is to watch TV. Binge watching Netflix is a normal night time ritual. Do you find yourself overthinking the show or movie you just watched as you try and fall asleep? This is a good sign that watching TV before bedtime is not a good way to help you relax and get in the sleep mindset. I love bedtime snacks. LOVE THEM. but… they don’t love me. Eating before bed usually leads to indigestion.. It’s just a lame fact. Also, our body cannot sleep as deeply when it’s still digesting. Try to get all your food in at dinner time and try not to eat or drink anything about 2 hours before bed. Things TO do before bed. What about being proactive in helping our bodies sleep? Doing some quick yoga before you sleep, though it may seem silly, this will help your whole body relax as well as your mind! Here’s some great yoga poses for relaxation. I know it sounds crazy but keeping a journal totally does help you sleep. Writing out your thoughts and feeling helps clear your brain and gives you less to obsess over while you’re trying to fall asleep. I also find it super helpful to identify things I need to do in the next day after I wake up! Oh my goodness.. Having a clean room is amazing, we can all agree. BUT making sure your room is clean for some reason totally helps you sleep better. When you walk in your room at night and it’s messy, it just adds another thing to our mental to do list… which is always stressful. Nothing is as relaxing as taking a bath. Take a warm bath with some epsom salt, let your body detox and then get yourself an awesome nights sleep! Just while we are on the topic I wanted to tell you a couple things about your ENVIRONMENT that can help promote better, deeper sleep. Total darkness helps your brain go to sleep quicker. Here’s a link to my fave sleep mask that also helps keep away migraines and wrinkles. SUPER important. The better neck support you have, the less you will toss and turn as you try to fall asleep. You need a good pillow that supports your neck AND keeps your head cooler than the rest of your body. (While also promoting relaxation of your muscles.) Did I mention its customizable? Here’s a link to the only one on the market. Do you play night time Hokey Pokey? One leg in, one leg out.. Because you’re always too hot or too cold? I found this AMAZING comforter that actually helps regulate your temperature WHILE neutralizing acid buildup in your system. It’s AMAZING for wrapping yourself up with you’re feeling sick. Geez. This is a tough one. I, like many other people am not a morning person. Although, I sure do try my hardest to be one.. Just ask my hubs. I love being awake for sunrise and I wish I did it more often.. It helps me feel more productive and like I am living the best kind of life. You’ll be salty with yourself later! Don’t look at your phone.. Pull out your gratitude journal and write a few things. I know.. I know.. Why is the answer to happiness always exercise? This will help get your endorphins flowing and wake you up! Plan out your day, write your to do list… you’ll be SO happy you did! A great way to start your day is by showing someone else some love… then you get warm fuzzies all day! What are some of YOUR night time or morning routine favorites? HELLO HELLO! Welcome to our first ever #WellnessWednesday blog post! Today we are going to be chatting about ‘WHOLE FOODS’ … so if you’re not into learning about food or you don’t like to eat food or you’re not into eating good foods… stop reading NOW. If you ARE looking for a some resources about things to put in your body to make it happier AND healthier, you are in the right place my friend. Definition: “plant food that has been processed or refined as little as possible and is free from additives or other artificial substances.” (Thank you google.) For example.. Fruits, Veggies… good grains. That sounds easy enough, right? Well.. it’s not. Take a good look at what things you may have in your fridge or in your pantry or cabinets. I am willing to bet most of the food that you have stored away in there doesn’t quite meet the requirements for ‘Whole food’. In today’s world it’s much harder to find unprocessed, unrefined, untampered with food. Even a lot of the produce we consume has additives or artificial substances added to it. Why do we need ‘Whole Foods’? Now, I don’t mean to scare you, everything will be OKAY. Not having a strict diet of only ‘Whole food’ will not kill you and hasn’t been proven as a cause of cancer or any of that kind of junk… our bodies just don’t function as well without them. ‘Whole Foods’ are an essential part to having a healthy balanced body and life! Our bodies were MADE to process and use Whole, Fresh, food! Imagine a life where all you ate was ‘Whole foods’, I’m sure you’re picturing more energy, a more balanced state of mind. Perhaps, clearer skin and memory, greater health and vibrancy. You are SO right. Our bodies function on a whole different level when we give them the nutrients they need without all the fillers or frills. Eating more whole foods is essential to health and a HUGE step in the right direction if you are ready for an improved healthy lifestyle. How can we incorporate more ‘Whole Foods’ into our lives? That being said, how in the world are we supposed to incorporate more Whole Foods into our diets? Easy Peasy. Buy them. I know what you’re thinking… ‘how am I supposed to eat that stuff?’ RECIPES! If you are on Pinterest I am SURE you will find what you need to make these whole foods sound appetizing. Create meal plans, get your family in on it, make it a goal! You will thank yourself later for being so proactive with your health. The truth of the matter is that our bodies crave these foods and what we can find at the grocery store wont entirely sate that craving or fulfill all of the nutrients our bodies need. That is the BIGGEST reason I advocate for supplements. In my opinion, if its not whole food… don’t buy it. Your body wont absorb it properly and it could cause some issues down the road. Just DON’T do that to yourself OKAY?! If you are really dedicated to a lifestyle change and want to be healthier, you’re going to rock this. Most daily vitamins are hard for your body to absorb.. but, because these are ‘Whole food’ supplements your body uses them right up! I LOVE the way I feel one these. My hormones stay so balanced. There’s also a ton of rocking antioxidants AND metabolism boosters. HECK YES. MY FAVORITE THING EVER. If you need more energy, a gentle detox… some brain/emotional balance, THIS should be your go to. Besides having an amazing amount of nutritional value and antioxidants, this stuff boosts your metabolism AND helps you gently detox. I LOVE IT. 10/10 would recommend to EVERYONE. Lately I have been totally loving on this stuff.. even though its not technically a ‘Whole food’ it will totally help scrub out all the gunk in your system to help you absorb your Whole foods better! Just make sure you continue to drink copious amounts of water to help it filter through! Find this on Amazon or at any health food store! If you have any questions of comments I would LOVE to hear them! Thanks for joining me this #WellnessWednesday. The 10 things you need to know about SELF care. Now that you know the true definition of Self Care, I’m going to tell you 10 things you absolutely need to know about it. 1. It starts with SELF love. Step one: Love yourself enough to treat yourself GOOD. Your friends and family will thank you. It is so important for you to have enough love for yourself that you will take care of yourself! Drink enough water. Do some exercise. Take a break. When you have a fully filled cup, you can start to help fill other peoples! Its awesome how that works, huh? SO… Self Care starts with YOU. 2. Self Care is all about prevention. As mentioned in the definition. Self Care is all about stopping the thing before it starts! Stress, toxicity, improper nutrition, terrible sleep patterns all contribute to disease, infection, discomfort and a plethora of other issues that the “modern” man deals with on the daily. Why do we subject ourselves to this? When we definitely have means to prevent it! 3. Self Care CAN help with standing concerns. Its TRUE! Ask anyone who has really integrated Self Care products into their life. I promise they will tell you what a difference it has made in their over all well-being along with addressing past health concerns. The Rule is: you take care of your body and it will take care of you! Its okay to take Self Care step by step! Remember to take things at your own pace, you’re building a lifestyle not just a few good habits. Results may happen immediately or over time but, they do exist! So what are the Five pillars of Health? Healthy Mind. Healthy Body. Healthy Family. Healthy Society and Healthy Finances. Sounds pretty grand right? Our definition of Self Care addresses ALL of those pillars. The NEXT step is creating balance in those pillars. If you’re not sure how to do that, check out our Facebook or Youtube page. As Specialists its OUR JOB to help people find balance. There’s been some craziness in the holistic world as we’ve finally helped people open up their minds to alternative health care. I always tell people to keep their minds open… We have LOTS of methods for healing right in front of us ALL THE TIME. Remember to be happy. THIS IS SO IMPORTANT. Happy people are healthier too! Once you take the steps to be healthier you’ll start to see changes in your attitude and start actively seeking to take care of yourself. ITS AWESOME! One thing people often over look is Environment. Your Environment has A LOT to do with your over all health care. What kind of water are your drinking? What kind of Air do you breathe? What type of food are you eating? Do you sleep well? Etc..
Total Self Care in a nut shell is A WELLNESS HOME. Where your environment is completely balanced and you have all the products related to you and your families Self Care. An alkaline environment with: Clean and Pure water, Air, Whole food nutrition, deep restful sleep, NATURAL discomfort relief etc. Learn more about it on our website! COMING SOON: “What a Wellness Home is”. This definitely isn’t everything you need to know but, its what we feel is most important. If you have any questions ASK! Feel free to share your favorite Self Care techniques and anything else we missed below! My mission is to help YOU achieve balance in every aspect of your life. Here’s where my focus lies. I want to help you create a better environment for your body, your kids and your family to thrive in. An Organic whole food diet. An environment with discomfort relief. 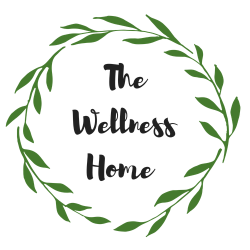 Check out my website for some awesome ideas on a Wellness Home. #EpicReLaunch Giveaway is HERE. What Will Our Winner receive? + A $50 Amazon GIFT CARD + The NEW Pimag Water Sport Bottle (amazingness) + An EXTRA special goodie bag with ALL the samples. The best prize line-up we have EVER had😍 Entering is SIMPLE. 1. Tag 3 friends in separate comments 2. Follow @the.wellness.home 3. Comment your FAVORITE holistic product from our website. (Need ideas? Check out the link in bio!) Once you do all three of those things... YOU ARE IN.🙌 ---- Giveaway will run till 10/2/18. *not sponsored by or affiliated with Instagram. #MondayMotivation After an amazing weekend it's always SO TOUGH to get back to the grind. I find myself losing energy & Motivation at about this time. Anyone else? 🙋 ••••• This Ten4 Matcha green tea has become my BFF. 🌿Natural Energy 🌿 Natural detoxification 🌿Brain Boosting 🌿Natural mood boost 🌿 Natural metabolism boost (weight loss YESS) Plus it's ORGANIC. If you're ready to step up you energy and motivation. This is the answer 😉 Drop a "🌿" or a "❤️" and we'll hook you up with 25% off! Wednesday had me like:✌️🥑🍓🥒 •••• Anyone else get into the week and just need to devour fresh food? ***Did you know that eating a cup of fresh veggies or fruit with your meal can DRASTICALLY improve your energy levels? #TheBest •••••• What do you do to get you through the mid week slump?